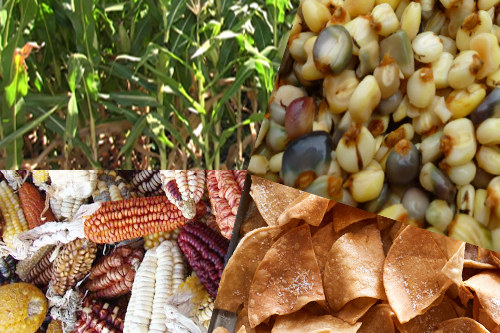 Corn is one of the most important crops in Latin America and this workshop will examine its history and culture. This two-day workshop will offer a variety of interdisciplinary presentations and discussions, including corn’s cultivation, harvesting, marketing, etc. Participants will learn about indigenous practices and ceremonies from pre-colonial times to the challenges of globalization. It will also explore the historical links between national foods and identity, debates about authenticity, and the dietary implications and culinary transformations of corn’s production and consumption. The interdisciplinary approach will provide educators with the knowledge and resources to better understand the backgrounds and cultures of students and their families. The workshop will include curriculum sessions and discussions on how to integrate new material into the classroom. Open to K-12 educators from all disciplines. You must be able to attend all workshop sessions. Participants will have access to reading materials, discussion questions, and other resources and assignments online via a course website. To receive LAUSD salary credit, participants must attend all sessions and access the online course site to complete readings and assignments. Participants will submit a reflective essay and standards-based lesson plans centered on the workshop's themes as their final assignment.